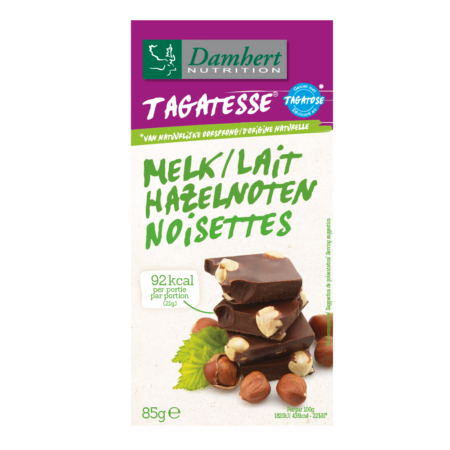 Delectable Belgian chocolate with no sugar added. 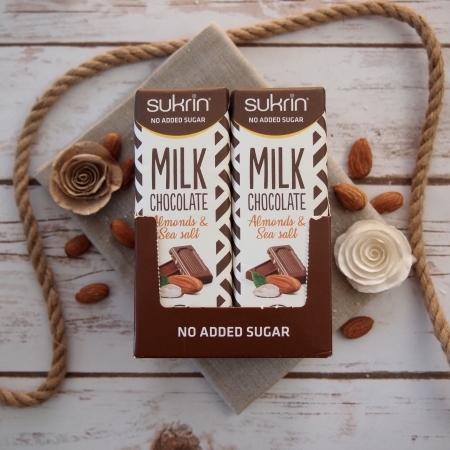 4 servings of 0.75 oz (21g) – each providing 92 calories and 2 net carbs! 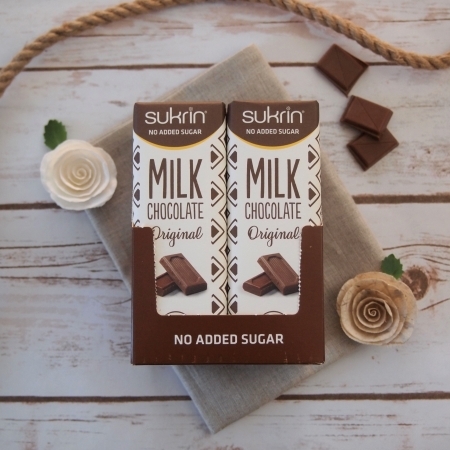 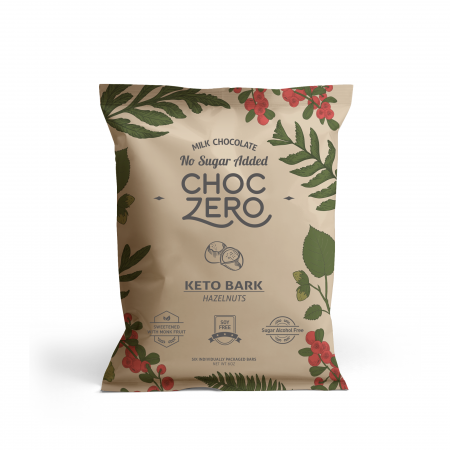 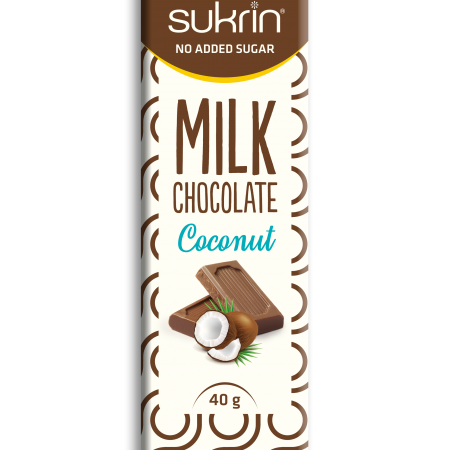 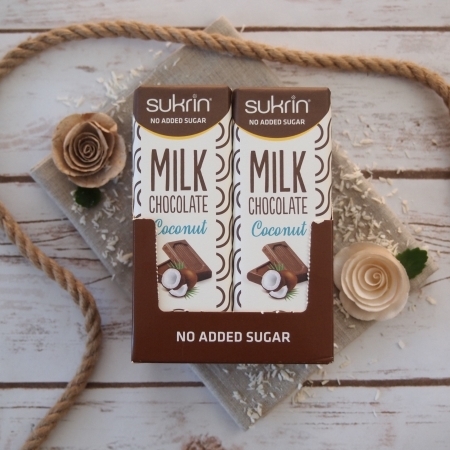 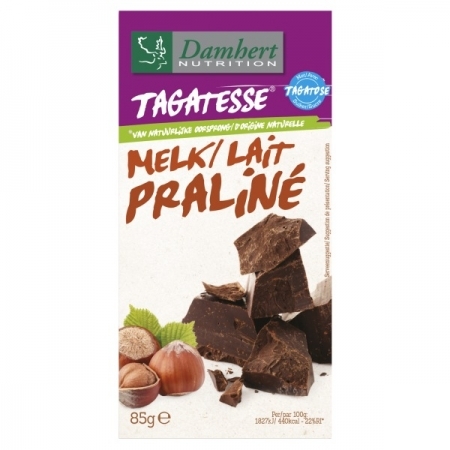 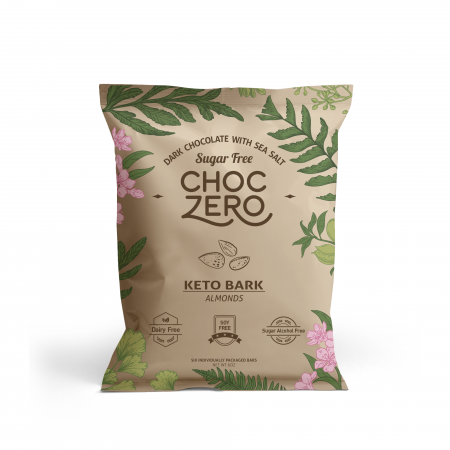 Ingredients: Milk chocolate (tagatose (43.1%), whole milk powder, cocoa butter, cocoa mass, emulsifier: soy lecithin, natural vanilla flavoring), hazelnuts (6%).